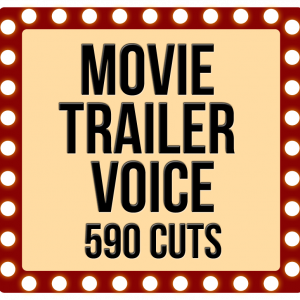 The downloadable packs contain audio cuts for you to use non-commercially on your next movie trailer project. Check the FAQ for terms. Piece them together to make the ultimate home movie trailer. The sound files work with all video editing software – including Premier, Final Cut ProX, iMovie, Windows Movie Maker and many more. Select your pack below and add to the cart. Secure payment then allows you to download. Click here to see the included cuts – and decide on which pack is right for you.